In The USA, Here To Stay. Here at TotalChoice Hosting we are proud to be an American company. Since day one TCH’s data center has stayed in America. Our state of the art data center is located in Troy, Michigan. Better yet, 100% of our services are hosted in Michigan and have been for almost 20 years of excellent service. While others are interested in cutting cost, here at TCH we’re interested in the best possible services by staying in America. Budget Pricing, Great Customer Service. We offer competitive pricing for best in class services. Most importantly, our Customer Service does not suffer because of our competitive pricing. While unfortunate, its very common to see poor customer service with low pricing with other Web Hosting companies. At TCH, we feel that is what sets us apart from the other guys, we value all of our customers no matter how big or small. If you come to us looking for support we’re going to do as much as we can to get you a lasting resolution as fast as possible. Best of all, there will not be a moment you cannot reach us here at TotalChoice. Whether it be via support ticket, phone call, text message, instant message, or email our staff is available 24/7. We are here for our customer’s day or night! At TCH we’re proud to have amazing up time numbers. Take a look here (hyperlink: TCH Uptime ), we are currently showing an average of over 99.99% uptime across the board. Unlike many other Web Hosts, we take preventative measures and constantly monitor our services to ensure uptime for our customers. Every day at TCH it is our goal to fall asleep with better uptime than we woke up with. In the rare event of downtime, we make sure to notify our customers and provide updates as often as possible. We will never keep our clients in the dark. TotalChoice Hosting has been in the industry for almost 20 years. Our team has the experience and the know how that many other companies do not. We do not take risks with our clients because over the years we have developed the best methods to maintain awesome uptime and great speeds. Simply put, we know what works best through years of trial and error, something that inexperienced companies cannot offer. Most importantly, we are here for the long haul. TotalChoice Hosting is a debt free company that owns and operates its own equipment. We never outsource and we never rent equipment from others. Anyone who you speak to for support is our employee and because of that, you will receive individualized customer service every single time. While many other companies rent servers, outsource support, and cut costs where ever possible. At TotalChoice we care about the longevity of our company and maintaining the best possible service we can provide to our customers. To us, you are a valued customer, not a number. If you have any questions please feel free to contact us here TCH Support. Thanks for reading and happy hosting! Thank you to everyone who participated in the re-birth of TCH’s Family Contests! It turned out to be very popular and we would like to congratulate Irene from New Jersey for winning a brand new Google Nexus 7 Tablet! It’s time again to give some more free stuff away! We had so much fun giving Irene the Google Nexus 7 tablet that we want to give another person the opportunity to win a tablet! 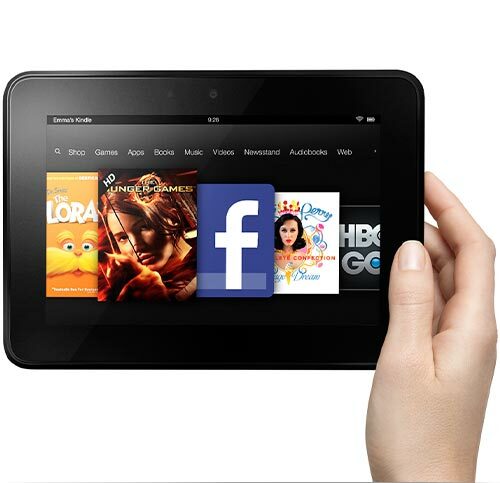 This time we are giving away a brand new Kindle Fire HD! The Kindle Fire HD features a 7″ HD screen, 16 GB of storage space, ultra-fast wifi and access to Amazon’s vast library of apps, movies, books, music and more. Powered by Android, the Kindle Fire HD is a great reader and tablet all in one. This month the contest is just as simple. To enter all you have to do is ‘Follow’ our blog. On the bottom right hand of every page on our blog you will see a tab / button that says ‘Follow’. Simply click it, enter your e-mail address and click ‘Sign me up!’ to subscribe to our blog and newsletter. Aside from entering into this contest you will also automatically be entered into future contests as long as you are following the blog. A random person will be picked during the last week of April and the Kindle Fire HD and TCH T-Shirt will be mailed to you soon after. We ask that the winner take a picture wearing the TCH shirt while holding the tablet and post it on the forum and/or our Facebook page. We will cover shipping to the continental United States only. Thank you to everyone who participated in the contest, we appreciate your support! We had so much fun that we want to continue to give away free stuff via social media regularly and randomly. All you have to do is ‘Like’ (or continue to ‘Like’) our Facebook page and stay as active on it as possible. Winners won’t necessarily be picked solely on ‘Liking’ the page, the winner can be someone who shares a story, comments on a post or picture, etc. So continue to spread the word to your friends and family. Tell them we want to give them some free stuff! April Contest: Who wants a Kindle Fire HD? Click for details. We are very excited to announce that we are re-introducing TotalChoice Hosting family contests! Each contest will be free to enter and the winner will receive an aforementioned prize. Contests, prizes and rules will vary from by contest and winners will be selected either by random or specifically, depending on the contest. To kick off our first re-born contest with style, we have decided to keep it simple and give away a new, exciting prize. 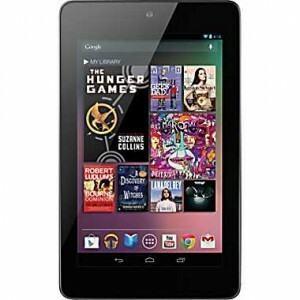 The prize is a brand new Nexus 7 Tablet running the Android Jelly Bean operating system! With the stunning 7-inch display and up to 10 hours of battery life, the Nexus 7 is a perfect tool to maintain your TCH hosted website and e-mail from anywhere. The Nexus 7 is built by ASUS and comes with a NVIDIA® Tegra® 3 quad-core processor so everything is faster, pages load quickly, gameplay is smooth and running multiple apps is seamless and effortless. How about we give you one of these? Entering is simple, all you need to do is ‘Like’ TotalChoice Hosting on Facebook. You may also ‘Follow’ TotalChoice Hosting on Twitter to double your chances. The contest is open to everyone – clients and non-clients. You don’t even have to leave this page to enter, just click the buttons below. The winner will be picked at the end of February. One winner will be chosen completely at random and will be contacted by me (Mike Ford). You will have 7 days to respond once contacted. If we don’t hear back from you within 7 days, a new winner will be selected. We ask that the winner share their experience on Facebook and our forum after being contacted. We will ship the tablet anywhere in the continental United States, free of charge. If you live outside of the continental United States you will have to cover the cost of shipping. Make sure to spread the word to all of your friends and family members! Use the links below to share this contest! Remember, everyone is eligible! Best of luck, get ready for your new tablet! Thank you for your time and remember, choice does matter!